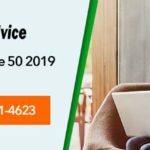 Sage 50 has become popular in the market as an easy-to-use desktop accounting tool for flourishing business houses. However, it can be scaled up to perform tasks for big business houses too. Its regular features include management of cash flow, account payable and receivables, payment of bills etc. It has been formulated in a very industry-specific way so that it executes quick processing and forty people can use it at the same time. The advanced features are inclusive of module-level security and inventory management here you can read more about How to Obtain a License Key for a New Version of Sage CRM. In Sage CRM, user can see the license key under the Administration screens. Follow this procedure: First go to Administration. Then to System. Then go to License Key Details. The license key is actually located in the windows registry and inside the system parameter table. Contact Sage experts to know the exact location. The license is co-ordinated within the custom_sysparms table. Do not try manually updating the registry and the database. Directly making modifications to the registry or Custom_SysParams table can be damaging. It is best to take advice of Sage tech support team. There are two safe ways. Re-run the installation program (setup.exe) from the Sage CRM. There will be a list, choose ‘License Key’ checkbox. Type in your new license key in and overwrite your existing license. 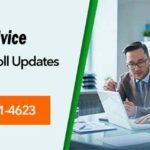 The install of Sage CRM will then update as the installation program accurately makes the modifications in the registry and updates any database setting. The safest suggested way of changing a license is to use the dedicated License Key Update utility. The LicenseKeyUpdate application has to be run. Choose the Install Name for which you need to change the License Keys. There will be a box to enter new license keys. Enter New License keys and click on -Click on Next button to proceed. In case of further doubts or ways regarding how to obtain a license key for a new version of Sage CRM , contact the team of experts at Accounting Advice. Every now and then, we might have questions that are typically software related or something which only Sage 50 tech support team experts can tell us. However, there is nothing to worry as help is available 24*7 for any sort of guidance or answers that you might need. 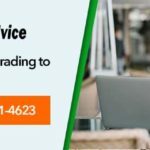 The Accounting Advice team is there to tell you what to do in case you want to procure a license key for a new version of Sage CRM and they will tell you what to do exactly which will make it a hassle-free experience. Moreover, Sage technical support team will not only solve your issues but also help you to understand the software in a better way. They are a highly knowledgeable team of professionals. 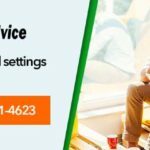 To get in touch with them, give a call on this toll free Sage 50 support phone number– 1800-961-4623.